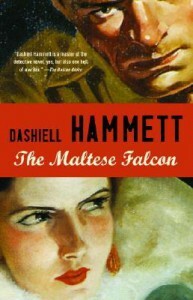 The Maltese Falcon is probably one of those quintessential mystery/detective novels. I found the writing to be rather spare, and a touch misogynistic. This is definitely a "boys book" in that at the time it was written the target audience was most likely men, and men of a certain temperament as well. I enjoyed reading this as an example of the genre and as a period piece, but I don't know that I am likely to reread it any time soon.